Why is it that ‘age-ing’ is defined in the dictionary and ‘youth-ing’ isn’t? The obvious question to me is why isn’t the opposite of aging defined in our dictionaries? on the principle that your body is constantly replacing and healing its tissues. I wonder why we can’t live forever as this self-healing is always happening? Could it be something we have forgotten? Most of my practice members know that they are younger after each spinal adjustment. You can watch their video testimonials here. 1. We can choose to create a mindset that works in present time. 2 We can take action only in the present moment. 3. Our true identity is alive only in the present. I use each of these powerful insights each time I adjust the spine and nervous system in our adjustment suite. 1. My mindset is in gratitude for the privilege. 2. All chiropractic adjustments are in done P.T.C. 3. Obviously the present moment is sacred. I will be taking the first week of September off. Thank you for reading this blog. 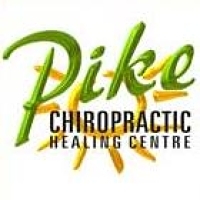 Please become a Facebook fan of Pike Chiropractic Healing Centre if you feel resonance with my writing. What Is Healing? Do We Do it Or Do We Allow It?